This special shirt design for woman to stand out. It has a fluid silhouette , special cut and is hand-crafted from high quality wool blend. 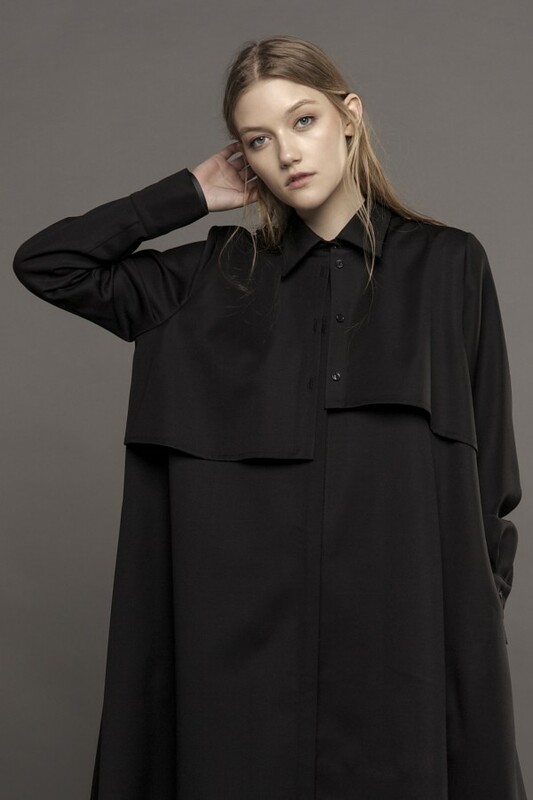 It features long sleeves, classic collar, pleated details at the chest line and pockets at the back. Wear it as a shirt with black skinny denim or as a dress.